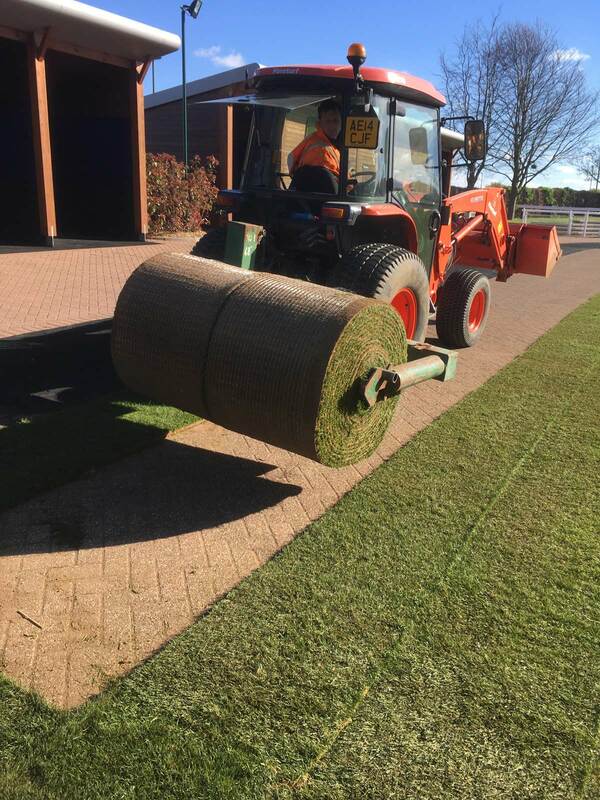 Each year the parade ring at Epsom Racecourse is turfed in preparation for the busy racing season. 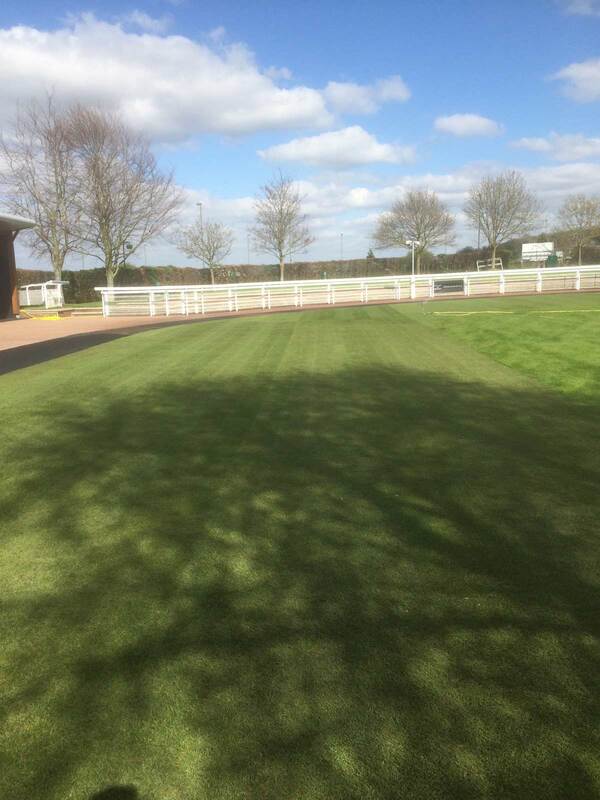 40mm thick cut turf is installed on top of a block paved car park to create the parade ring. The course ground staff ensure the turf remains healthy and is watered throughout the spring and summer. 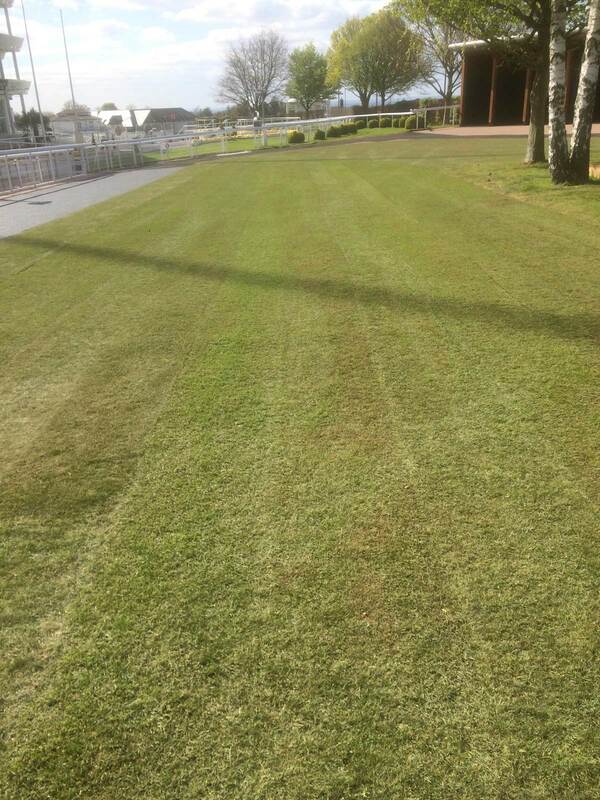 This year 1200m2 of turf was installed.